Kids and dogs often go hand in hand (or paw in hand, as it were). Most dogs are loyal, safe companions for children. However, an astounding half of all children have sustained a dog bite, and children are more likely than adults to be seriously injured due to a dog bite. As a parent, seeing your child hurt in any way is a scary experience. When your child is injured by a dog, it is particularly terrifying. Because dog bites can cause devastating injuries in children, it’s important to take steps to protect your child and your family’s right to receive the compensation you need to pay medical bills. Call a Daytona Beach dog bite lawyer right away to discuss your options. Your first move after a dog bite injury in a child is to get medical treatment right away. Even if a bite seems superficial, it’s important to see a doctor. 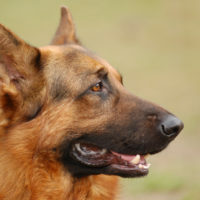 According to the Centers for Disease Control and Prevention (CDC), dogs can carry a wide variety of diseases, including rabies, MRSA, Tetanus, and Pasteurella, with the latter seen in 50 percent of all dog bite wounds. Because dog bites are more likely to happen around a dog a child knows, some parents hesitate to report a bite to the police or local animal control authorities, such as the dog warden. Understandably, they don’t want to damage a relationship with a friend or family member by reporting their dog. However, dogs that bite need to be evaluated to determine if they are dangerous. If you don’t report the bite, the dog might go on to injure another child. Your child’s health and well-being are the top priority. You should also call a Florida dog bite lawyer as soon as possible. Because children are small in stature, they have a higher chance of sustaining bite wounds and injuries to the face compared to adults. In one study published in the Journal of Craniofacial Surgery, a plastic surgeon who treated children attacked by dogs between 1995 and 2005 found that 90 percent of his patients suffered a combination of crush, shear, and laceration injuries. In 95 percent of these cases, the child knew the dog that attacked them. In more than 75 percent of the cases he treated, the child needed follow-up surgery after the initial cosmetic procedure. These cases demonstrate why it’s important to speak to a lawyer after a child is bitten by a dog. The medical bills associated with a serious injury can quickly exceed any family’s insurance coverage. If your health insurance requires you to pay a deductible for surgery, you can end up paying thousands of dollars before your child’s treatment is even complete. In many cases, a dog’s owner has insurance coverage. Although you may hesitate to sue a friend or family member, keep in mind that it is the insurance company who steps forward to defend the lawsuit. In a majority of cases, dog owners feel terrible about the injuries their dogs have caused and will understand why you need to file a claim. Was Your Child Attacked by a Dog? Get Legal Help Today. If your child has been injured by a dog in Florida, don’t wait to speak to a lawyer. Call a Daytona Beach personal injury and dog bite lawyer today to learn how the law protects you and your family.